Borderlands: The Handsome Collection is a remastered edition of both Borderlands 2 and Borderlands: The Pre-Sequel to the PlayStation 4 and Xbox One, but all the effort that players did in the original game will not simply be lost. Check out how to transfer your data to the new versions of the games. Players with the version of the Xbox 360 can only send his data to the Xbox One, it is not possible to make your way back. Have players of PlayStation platforms will be easier, and may change at any time between saves the PlayStation 3, PlayStation 4 and even with the version of Borderlands 2 of the PS Vita . Step 1. Update all versions of all games involved in the transfer. You cannot transfer if the games are outdated. This is true even for Handsome Collection. Step 2. 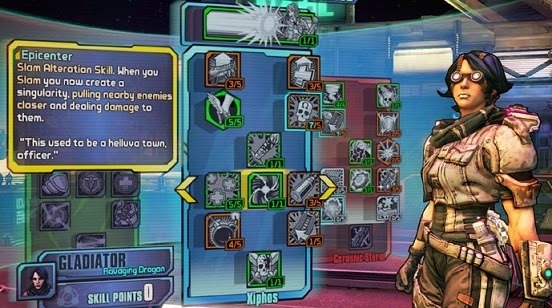 In the Xbox 360 or PlayStation 3 go to the main menu of Borderlands 2 or Borderlands: The Pre-Sequel and look for the option "Cloud Save" (Xone / X360) or "Cross Save" (PS4 / PS3 / Vita). Step 3. Then select the "Upload Save" command to send your save to the cloud. You will not lose your save in the original game, only one copy is made. Step 4. Now go Borderlands: The Handsome Collection , select the same game which you did upload the data and go again on "Cloud Save" or "Save Cross". Step 5. This time choose the command "Download Save" and your data will be downloaded from the cloud to the new game. Step 6. Ready! Just now enjoy the remastered version from the point where you left off in the original games.